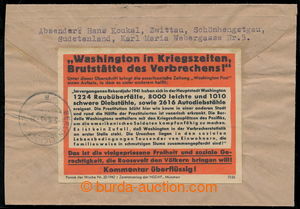 1943 German war propaganda against USA, philatelically influenced Reg letter addressed to to Berlin, with Mi.792 and 855-856, CDS ZWITTAU 2/ 4.8.43, on reverse arrival postmark BERLIN - LICHRENBERG/ 5.8.43 and big bicolored label with obsáhlým text with name "Washington, semeniště zločinu! 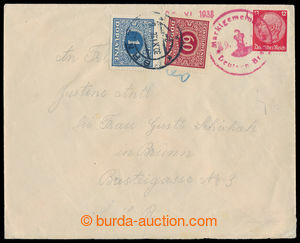 ", issued centrálním publ. 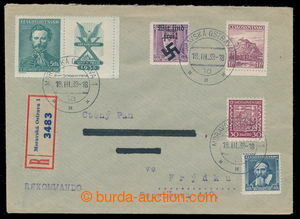 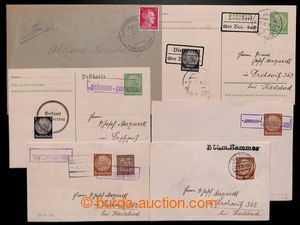 NSDAP in Munich; on/for postally Us entires rare!